Checked in on the grapevines this Sunday. I took a look to see how they've been ripening up and to predict the date of the harvest. 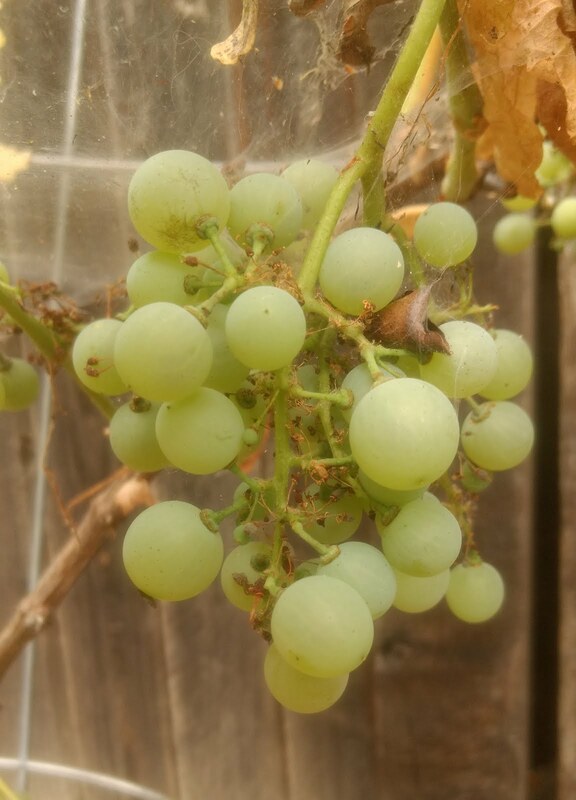 This analysis was performed using both color of grape and a taste test if the cluster looked ripe enough. 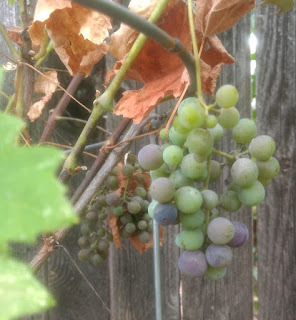 From some lessons learned the past two years, I'm leaving the fruit on the vine longer as the previous estate blends (2016, 2017) have turned up very acidic. 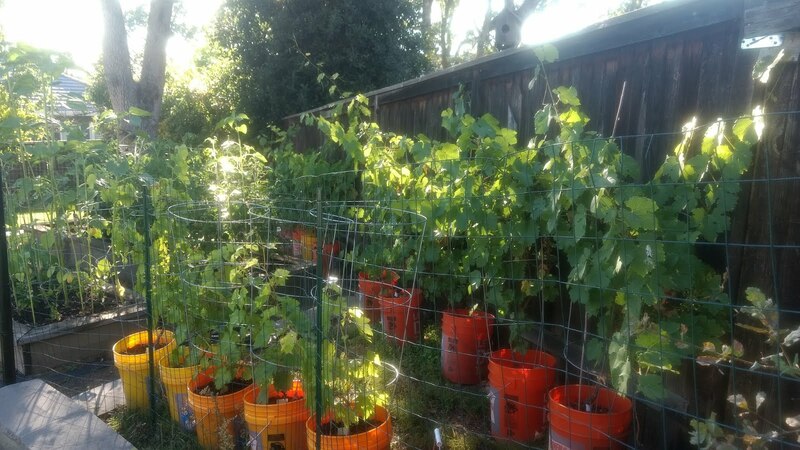 The furthest along grapes as of now are the Symphony and the Chardonnay. This year has been their best so far in terms of production. Previous years, the Symphony grapes in cluster were always small and spread. 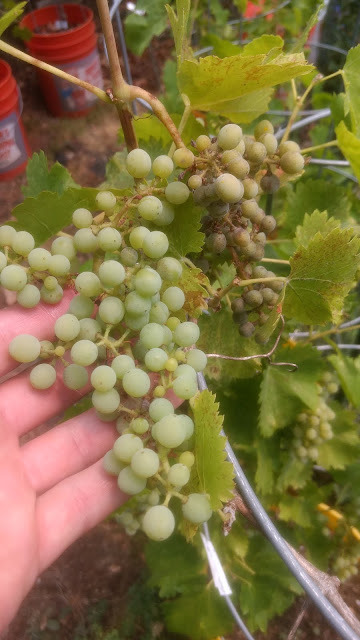 This year the clusters are healthy looking. Guess they like this location a lot. 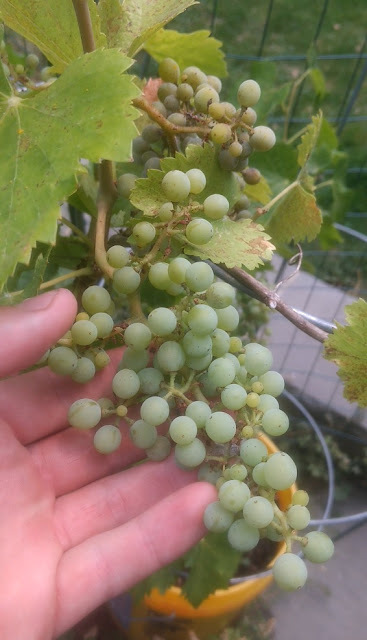 The Chardonnay is showing similar results with a lot of clusters, but similar size to previous years. I anticipate harvesting these two plants in 1 - 2 weeks. Two of the red vines, Pinot Noir and Cabernet Sauvignon will be ripening up within 2 - 3 weeks. 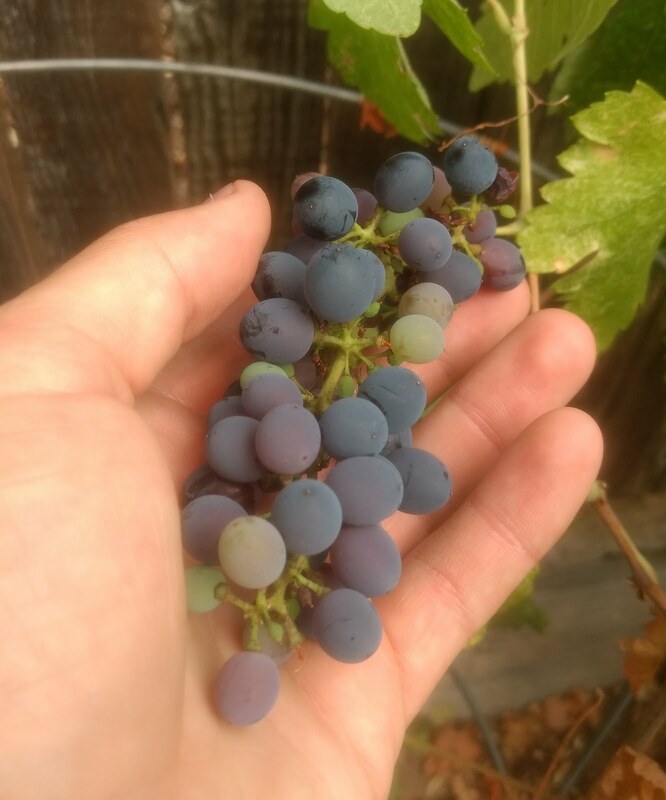 Pinot Noir will make the bulk of this red harvest. 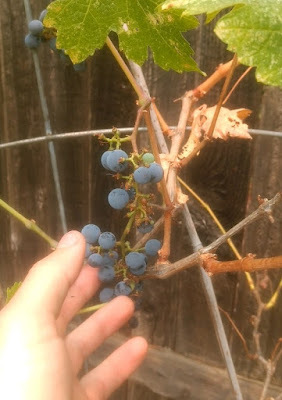 There is a single cluster on the Tempranillo which should be harvested around this time too. The remainder of the reds will not be ripe enough until the beginning of September. It's too early to tell on the Zinfandel, Grenache Noir, and Aglicanico as those vines have barely started to change colors. 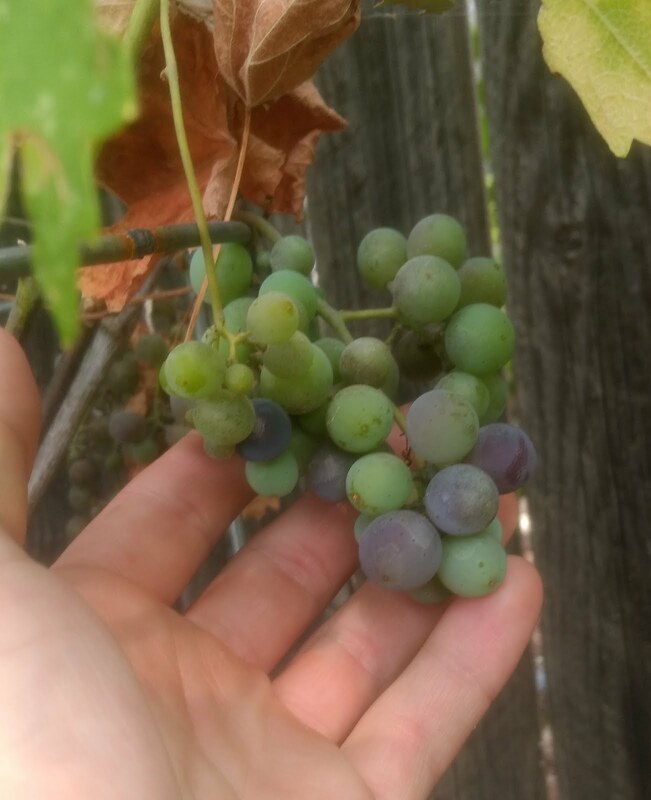 Syrah may be ready before September, but it was too acidic to get an accurate reading at this time. For being one of the younger plants, the Grenache plant is producing a considerable amount of grapes. 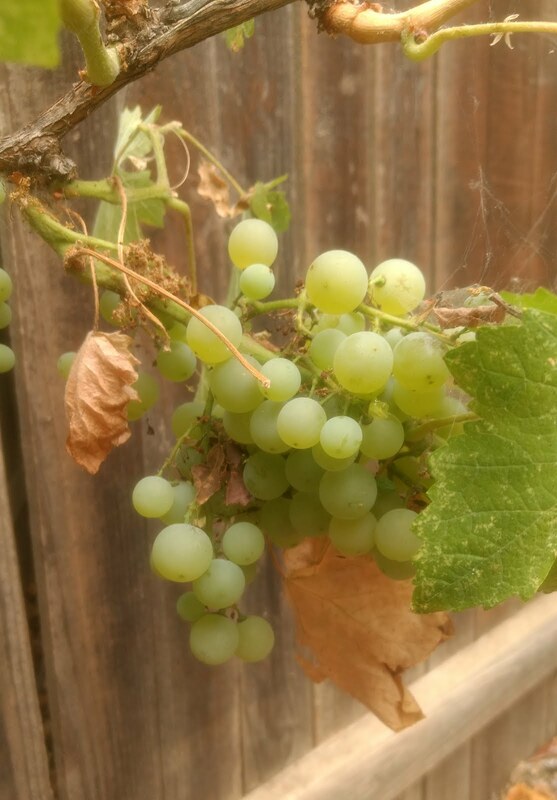 There remains a few clusters on one of my newest plants, the Palomino, which will likely be eaten. Since I will have enough grapes of both colors, I plan to do two estate blends, one red and one white. I'll need to crush the red sublots as I harvest and blend them later once they have been fermented to ensure the quality of the grapes harvested first don't go bad while waiting for the others to come off the vine. 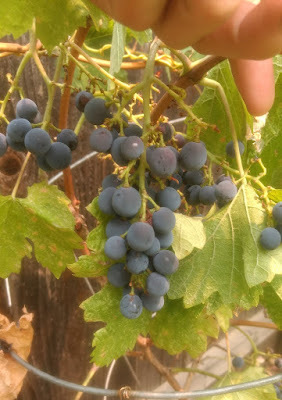 As with most fruitbearing plants, the ideal time to harvest grapes is in the early morning so I'll need to keep my eyes and tongue on them to know the exact day they are to come off the vine.